J.-F. Bueno - Established in 1988, this company specializing in issue publishing is originally Spanish; Subsequently it was acquired in large part by Anaya (Universal-Vivendi) and then revived into Spanish. If the headquarters is in Madrid, Del Prado has subsidiaries in France, Poland, Brazil, the United States and Hong-Kong. Our partnership with the Osprey editions has greatly helped us in the selection of our historical collections and especially those of figurines. But they’re not the only ones. We also consult other uniformological documentations and illustrators, such as D. Lordey, who created for Del Prado a dozen pedestrians and riders of the first unpublished and first Empire, as well as all the figures in the collection "The Fire Soldiers". If initially the gadget is complementary to the press product, it quickly became the main topic. We have an international vision that allows us to select attractive collection products in several countries. We also seek to provide collectors with subjects different from those already existing. 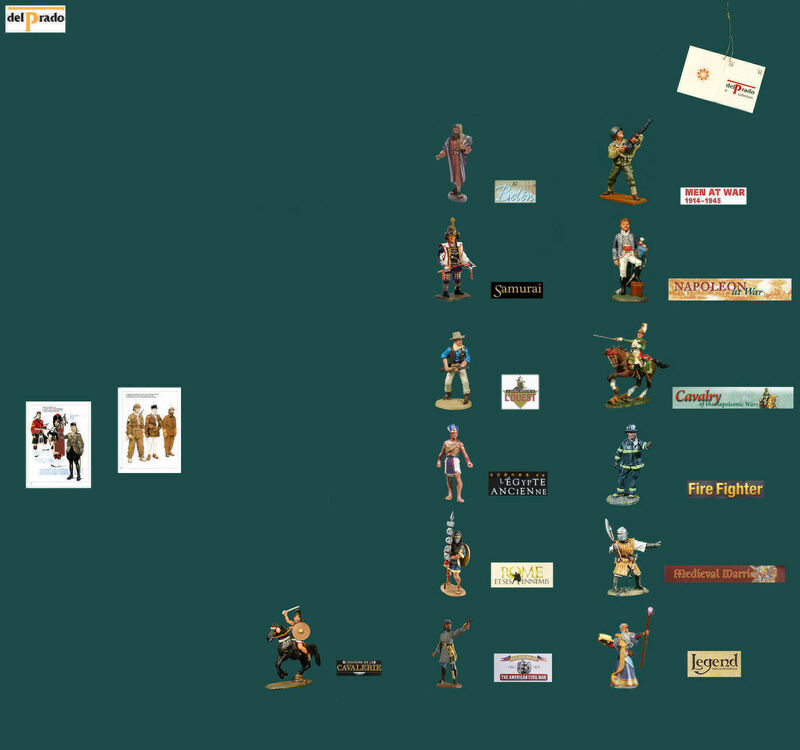 The manufacturer of our figurines is King & Country, currently one of the best. The advertised quantities are large and overall more than 100.000 copies. Only the figurines proposed by Del Prado editions will be presented on this site. The vast majority of the photos are by Jean-Claude Piffret, author of the book "Les figurines publicitaires" and collector of these greats characters. It should be noted that the very detailed illustrations inside the papers, allow to serve as models for painters in figures. The series will be visible as and over the next few months.